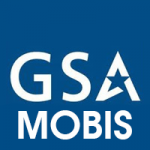 The Strategic e-Business Solutions, Inc. MOBIS contract is a five-year, Indefinite Delivery, Indefinite Quantity (IDIQ) SEBS MOBIS contract designed to provide Management, Organization and Business Improvement Services to support US Government agencies on a task order basis in the 50 US States, the Commonwealth of Puerto Rico and the countries of Europe. Strategic e-Business Solutions, Inc. will provide or augment the Government’s capabilities to develop and support customer service delivery strategies, review operational management and provide competitive sourcing support to improve customer service. Strategic e-Business Solutions, Inc. provides knowledgeable Customer Service Consulting Services, and Program Integration and Project Management Services.